We have a pleasure to invite you to the third edition of the Festival of Coffee and Tea! We are huge fans of high quality coffee beans and tea leaves. We are interested in different methods of brewing, from traditional to avant-garde ones, which we have discovered with the arrival of the third wave of coffee. We also understand that what we drink our favourite hot drinks from is as much important. This is why, from the very first edition of our festival, we have Polish ceramics artists, who create in their workshops unique, hand-made mugs, jars, bowls and gaiwans. We long for the country life. We love to buy products directly from the farmers. 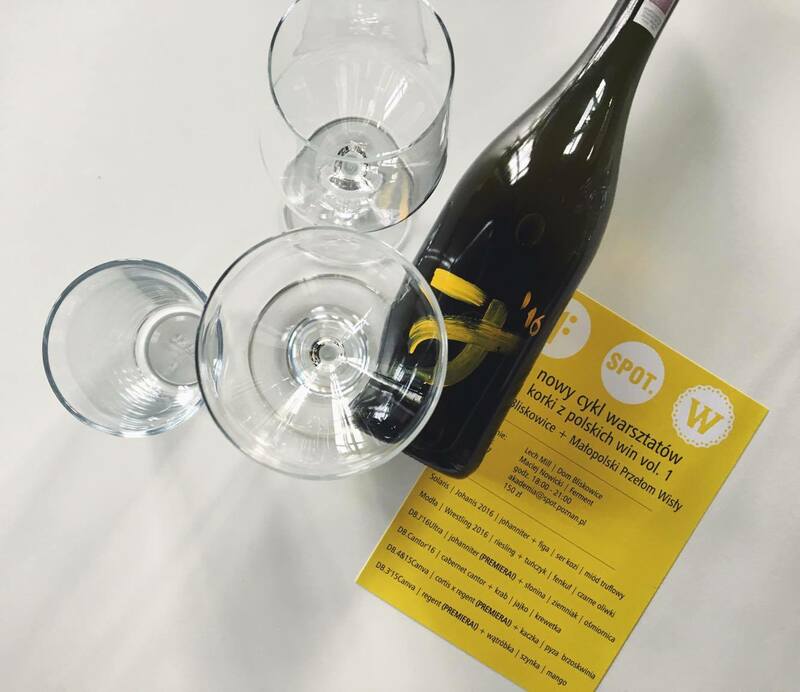 At the end of September, the moment when nature presents us with a profusion of crops, we want to invite you to a special event, where we discover the taste, the look and the work of the Polish country of today. 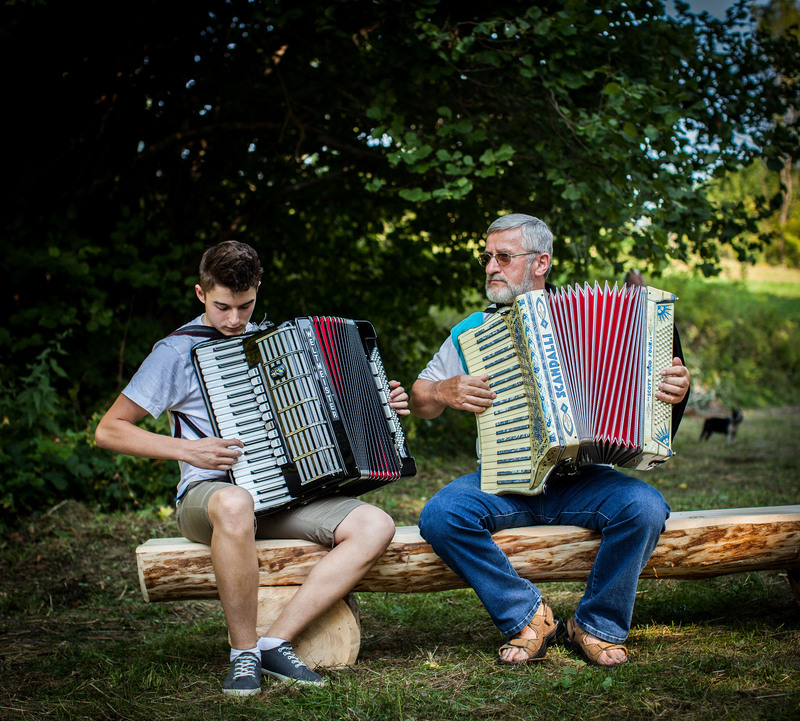 At the event, you will have a chance to taste small-farm products, talk with people who left the city and moved to the countryside to run their farms, discover food cooperatives and take part in handicraft workshops. We are launching a new recipe series “Artist’s Kitchen” by Anna Królikiewicz. She will share with you some meals inspired by the lives of artists, whom she especially values. She starts with Georgia, because, as she explains, she admires both her paintings and her lifestyle. In the new autumn issue of USTA Magazine, there is a special article dedicated to Georgia O’Keeffe. We have for you a teaser, a starter – several plant-based recipes straight from the 1950s, surprisingly avant-garde and whetting your appetite for the new issue and the article by Ania. In the new, summer issue of the USTA Magazine, we examine the meaning of luxury. Our impression is that the notion of luxury is currently being redefined. While in the past it used to be associated with expensive, shiny objects, now it is more related to authenticity, craftsmanship and experience. 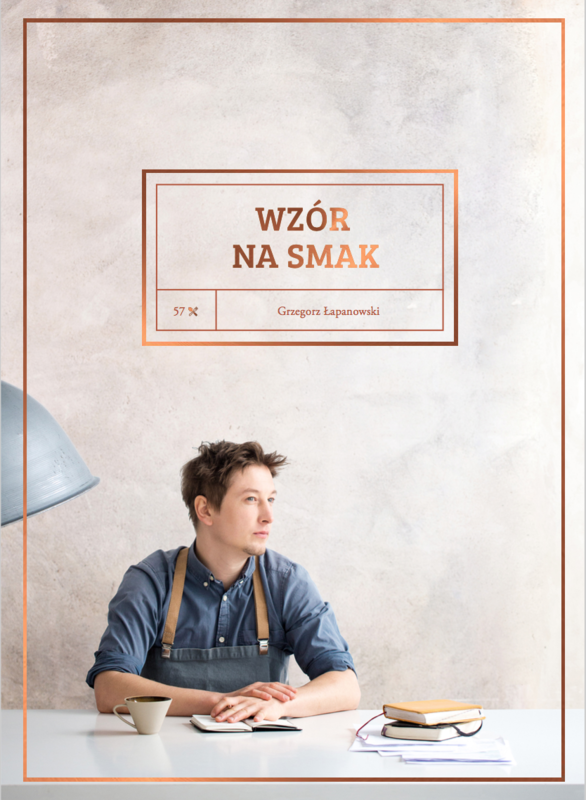 There is a new restaurant in Gdańsk! Dancing Anchor is a spacious place, beautifully designed by London’s DeSallesFlint studio, which has just opened in Granary Island. For hot days and warm nights, for summer picnics and parties – the orangeade. With sweet orange and sour rhubarb, aromatic mint and verbena and, obviously, the sparkles, which you can have either from water or water mixed with prosecco or cava. Recommended by Magadalena Święciaszek. 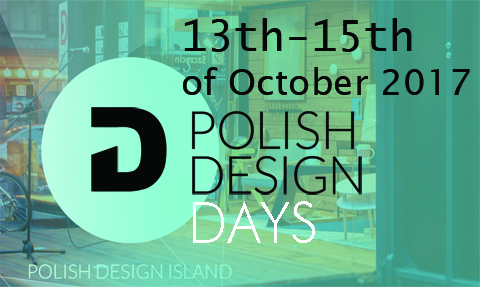 Polish Design Island is a unique, mobile project presenting the hottest design from Poland. The next edition opens on October 10 in Copenhagen. The premiere of a new vintage of the cult Johanniter Ultra was organised in SPOT in Poznań. The wine was presented by Lech Mill himself – the owner of the Dom Bliskowice winery. Her paintings and installations are in the collections of Paris’ Centre Pompidou, New York’s MoMA or London’s Tate Modern. And it was no other but her, Paulina Ołowska, that was listed by The New York Times as one of 28 most important creative personalities of the year 2016 alongside Michelle Obama, Isabelle Huppert, Donatella Versace, Lady Gaga or Tom Ford. Unfortunately, in Poland she is not much spoken and written about. 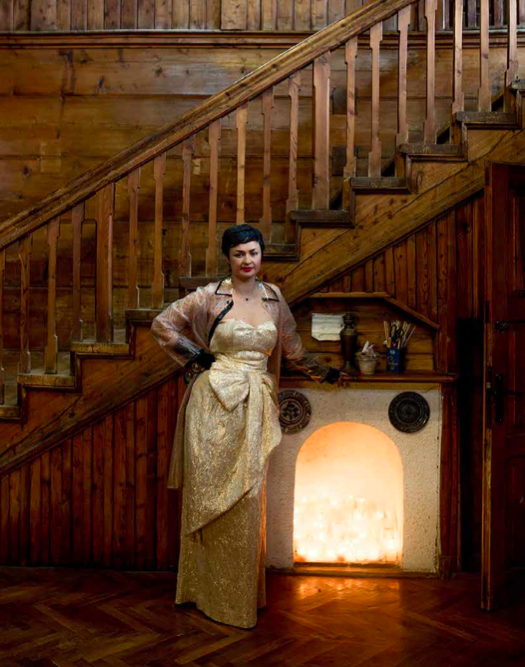 USTA had a pleasure to pay a visit to the artist’s atelier and creative house Kadenówka in Rabka Zdrój last August and was the media patron of her action Mycorial Theatre. We bring back our encounter with this artist. This cafe is soaking in flowers. Plants are on the floor and in the windows. Just at the entrance, there is a little jungle with two armchairs hidden inside. You can hide in this green enclave to drink a perfect espresso or an aromatic drip, eat a home-made cake, freshly-baked pain au chocolat or a delicate cheesecake. Or, you can just sit down and read or contemplate. 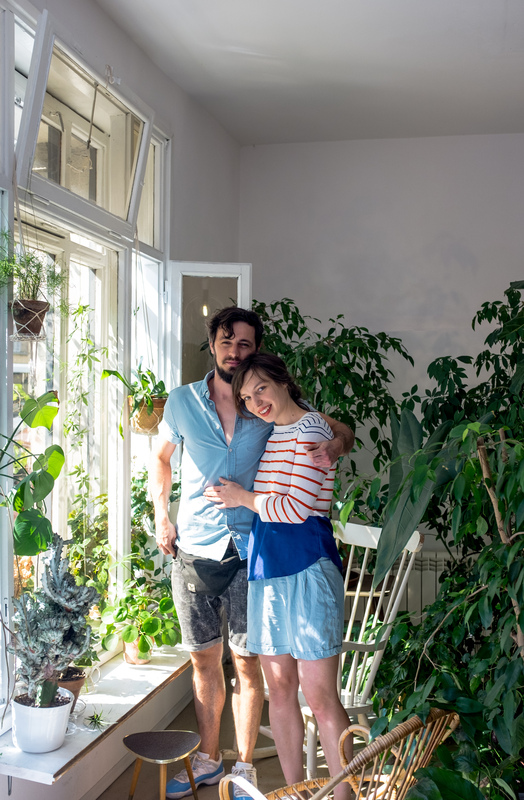 You will also meet there Ani and Kuba – the super-friendly owners of the café. More about USTA’s visit to Piece of Cake cafe below. 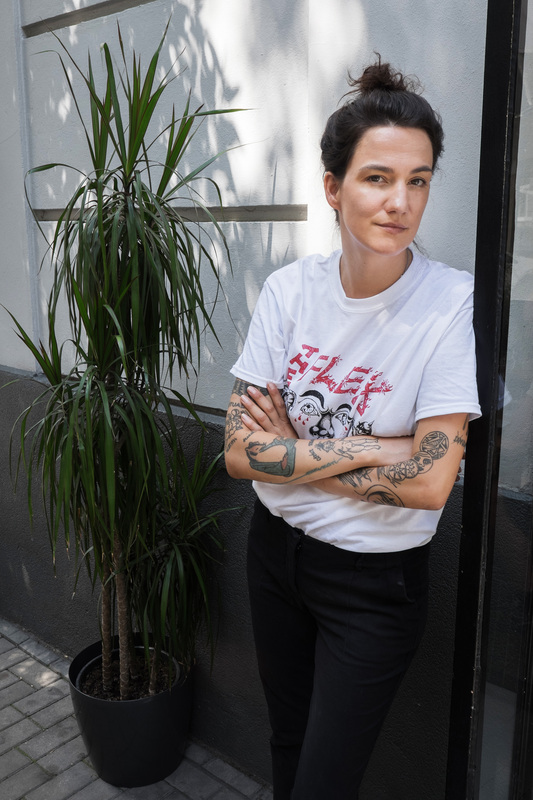 Marysia Przybyszewska, our regular contributor, worshipper of plant-based cuisine, famous for her excellent breakfasts and tales from her internship at Noma has just taken over Youmiko, Warsaw’s vegan sushi restaurant. USTA magazine interviewed her about the novelties she plans to introduce in Youmiko’s menu. Go on a few-kilometre mountain hike, jump over a stream, stop for a while to take a breath and watch a white-tailed eagle flying in circles above your head. Just for a moment, because at the end of the trip set tables are waiting. In early April we held a premiere of a new cookbook, prepared and published by the Usta Magazine team. This time our book concetrates on the flavours: why sweet goes well with sour and why sour is a perfect match for salty. We explain the meaning of umami and the role of structure and colours. We suggest what goes well with eggplant, strawberries and fish. “Wzór na smak” (Eng. A Formula for Flavour”) was written by Grzegorz Łapanowski, the photos were taken by Krzysztof Kozanowski and the beautiful layout was designed by Joanna Skiba. He opened his first restaurant already at the age of 21. René Redzepi and Heston Blumenthal used to cook there. He became a television celebrity, but after few years he resigned. Luckily, he discovered cooking over a fire, which marked his personal style and earned him the Michelin star. USTA paid a visit to Niklas Ekstedt in his restairant in Stockholm. Poland, here we come! With our events cycle “An EYE for…” we try to understand what makes up an individual character of each city. Our favourite way of discovering a city is through its artists, architecture, food, design, and art. All these elements combined together create the unique DNA of a city, its one-off genotype. Before she became a fashion designer, Coco Chanel was known as Gabrielle. Fierce and rebellious, passionate and free. She won her freedom to become the kind of woman she wanted to be. The new Chanel fragrance is dedicated to her. USTA Magazine had to pleasure to participate in the premiere of Chanel Gabrielle. 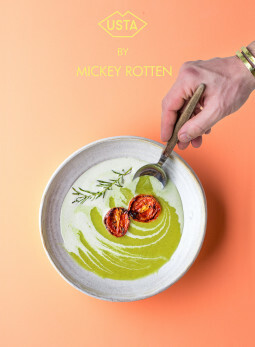 Straight from the sun-burnt Sicily, Mickey Rotten brings you a recipe for a soup, which combines fresh rosemary with courgette, coconut milk and roasted tomatoes rich in umami tones. You can serve it hot or cold, depending on the weather. Food is usually associated with positive things: friends and family, travels, discovering new flavours. But what if the food is not available? Or when we start denying ourselves food for various reasons? You will find these questions discussed in a new quarterly “Non/fiction”. It is yet in the making and it will need your support to be released. Springy, Japanese home-made noodles bathing in aromatic, vegan broth, which sits overnight with cold brew coffee, crispy, light tempura served on ceramics from Lanckorona made by Piotr Piaskowski and a special sake from a collection created by Joseph di Blasi from Naturaliści (The Naturalists) are all waiting for you in a newly opened Ka Udon Bar in Krakow.